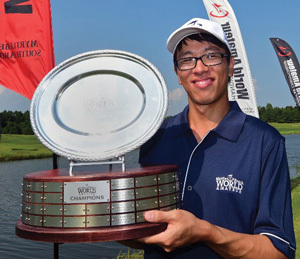 Tae Kim of Richmond, Va., shot a net 65 (gross 85) at Barefoot Resort’s Dye Course to win the Flight Winner’s Playoff and claim the mantle of World Champion at the 32nd annual Myrtle Beach World Amateur Handicap Championship. 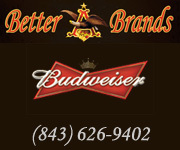 Kim bested Steve Locke of Lubbock, Tx., a 3 handicap who shot a net 67, by two strokes. Anthony Baker of Walkertown, N.C., shot a 73 Friday and finished with a four-day total of 290, good enough to beat Ryan Reynolds by two strokes to win the World Am’s Gross Division Championship. Additionally, Clint Payton and John Brown of Seymour, Ind., shot a net team total of 138 to win the International Pairs event and earn the right to compete in Spain next year in the IP World Finals. 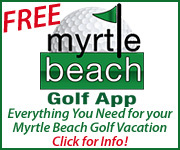 The Flight Winner’s Playoff brought the 32nd annual Myrtle Beach World Amateur Handicap Championship, the game’s most inclusive event, to a close. 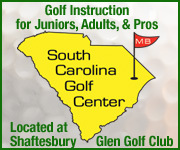 Nearly 3,400 players from 48 states and 28 countries descended on Myrtle Beach for the 72-hole net stroke play event. Players were arranged into flights according to their handicap and at the conclusion of the four rounds, all flight winners (and ties) advanced to the 18-hole world championship playoff. The World Am features six competitive divisions, ranging from men and women 49 years-of-age and under to the super seniors, who are 70 years-of-age and older. After rain washed out Monday’s round for the majority of the field, the weather was idyllic the rest of the week. The Dye Club, which has been ranked among America’s 100 Greatest Public Courses, was in pristine condition and provided an excellent test of golf for the Flight Winner’s Playoff. The World’s Largest 19th Hole was again the heartbeat of the World Am. Players and their guests were treated to free food and drinks, a golf expo and live entertainment. Two-time major champion John Daly was on-hand, signing autographs, serving drinks and even singing onstage. Daly was joined by Golf Channel analyst Charlie Rymer, television personality Win McMurry, and the popular Sirius/XM radio show Katrek and Maginnes On Tap broadcast live from the 19th Hole main stage each night. 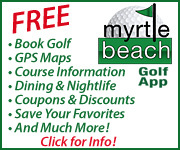 To relive the fun of this year’s event, go to www.MyrtleBeachWorldAmateur.com.